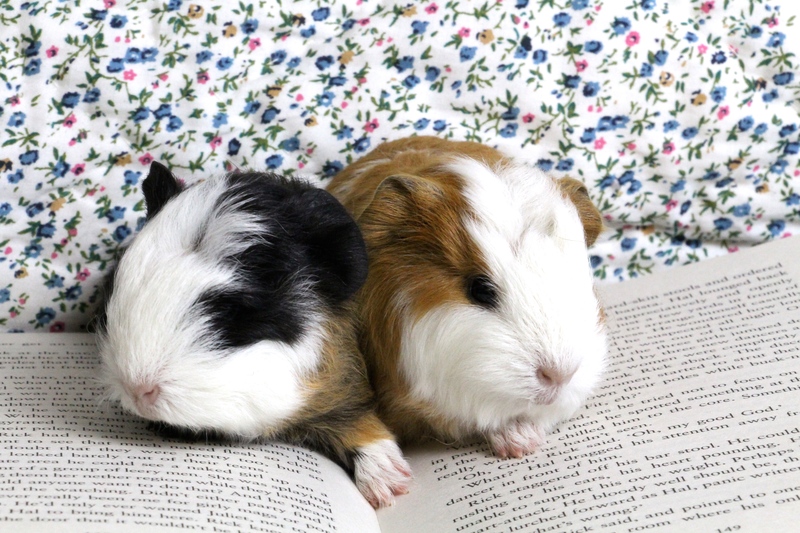 At the start of the month, I created a new blog on Tumblr called Book Pigs. 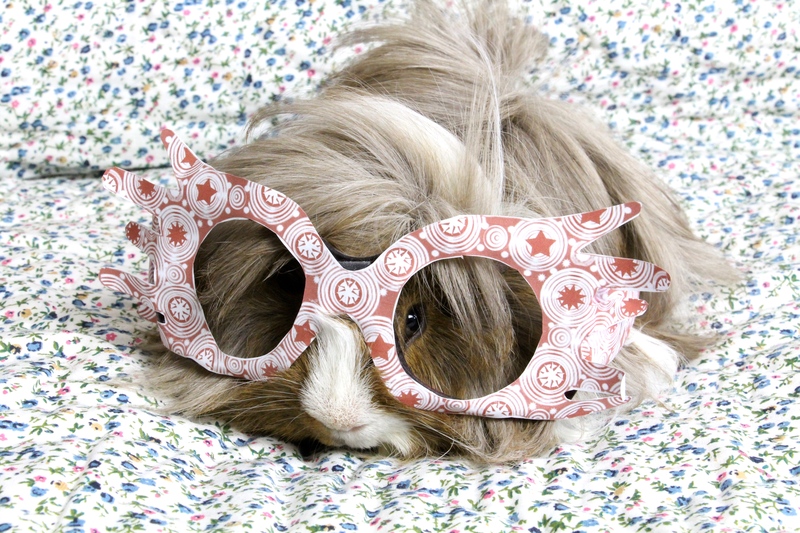 I’ve always wanted to incorporate my guinea pigs into my blog and using Tumblr means I can make it as fun as possible, but still keep it very relaxed. Today I thought I’d share some of the pictures featured so far, in a little wrap up! 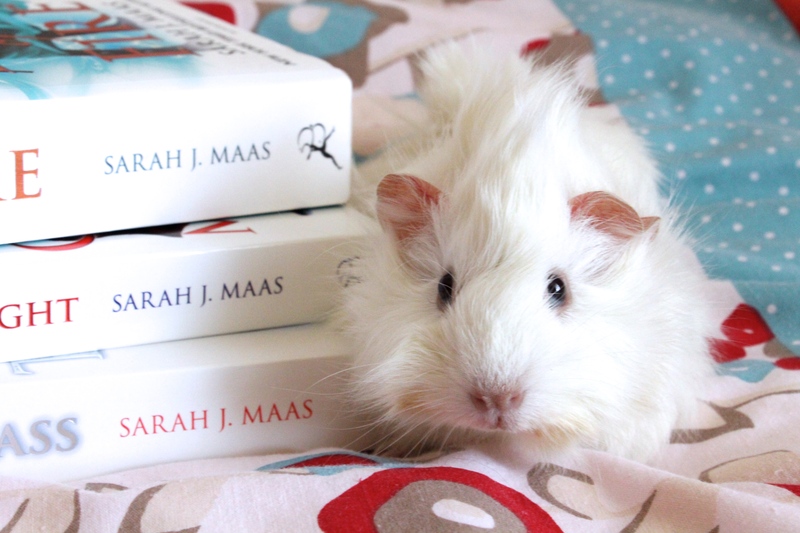 This is Ruby, who loved posing by Sarah J. Maas’s Throne of Glass series. She’s so friendly and extremely adorable! I’m so in love with her. I know it’s wrong to have favourites, but sometimes it really can’t be helped. 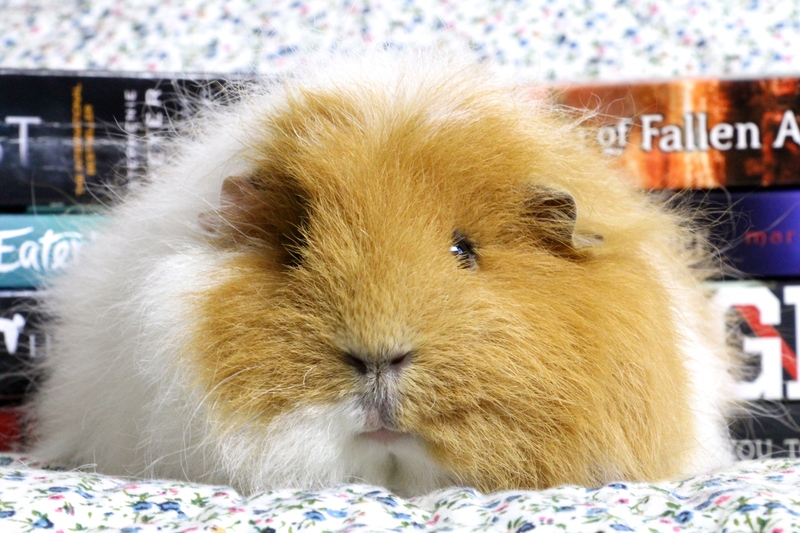 Hazel is the loveliest guinea pig you could wish to meet, and she’s Ruby’s mum! Look how cute Bluebell’s face is! She would have sat for hours – she loved her picture being taken, and she’s so photogenic! She looks so fluffy!! And for the final picture we have two INCREDIBLY ADORABLE CUTE babies who I could stare at all day. THE CUTENESS! 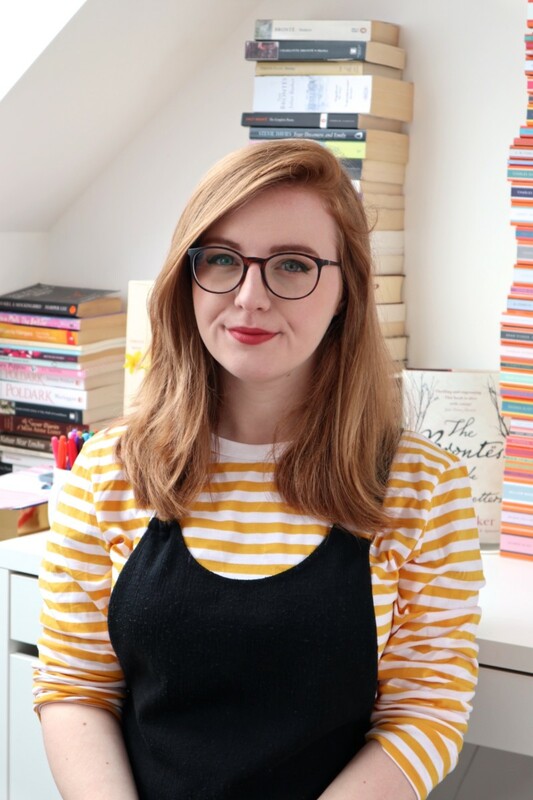 I’m so excited for all of the things to come on Book Pigs in the future! You can take a look here at all of the other pictures. 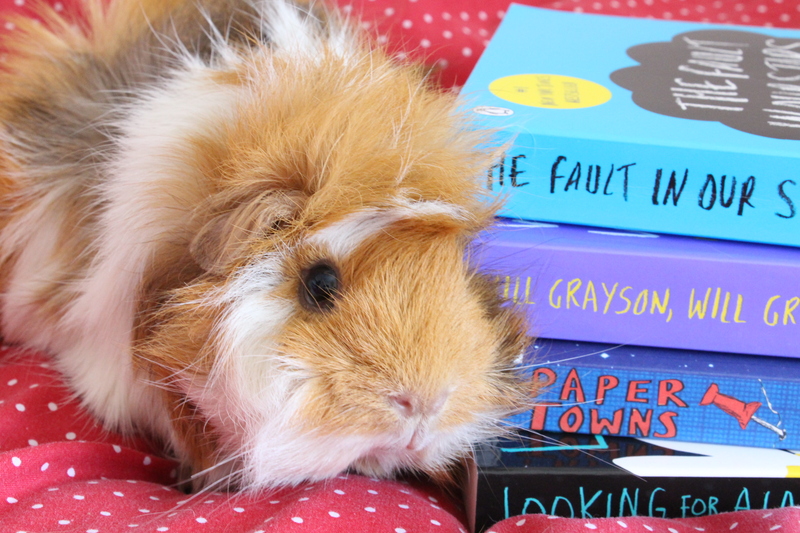 Which guinea pig is your favourite? How can i choose from such piggie loveliness! But Bluebell does look so fluffy and cuddly. Your photos are great, i dont think any of mine would sit still long enough to be photographed. This is so cute!!!! What sort of camera do you use to take the photos, they are gorgeous! Lara recently posted…Are GIFs Unprofessional or Annoying? || SURVEY RESULTS! Oh my gosh they are all so perfect! What a wonderfully adorable idea for a blog – so much cute-ness!